Work hard. Go to college. Change the world! When Democracy Prep students stream into their classrooms each morning, their school motto follows them. It’s written on the blue and gold banners slung in their hallways, alongside packets of graded student work and on rows of university pennants. It peeks up from school-issued planners. And it’s occasionally found on pieces of the school uniform, a variegated ensemble that makes room for branded button-downs, sweatpants, ties, cardigans and vests. Not every school can boast a mantra, but Democracy Prep chose one that leaves no ambiguity about its mission. Students (referred to as scholars) encounter all the hallmarks of the urban charter school: high expectations, a long school day, stringent disciplinary policies. But as it has expanded from one Harlem middle school to more than 20 locations across five states, the 13-year-old network has always kept the exclamation point at the end of that third imperative clause. 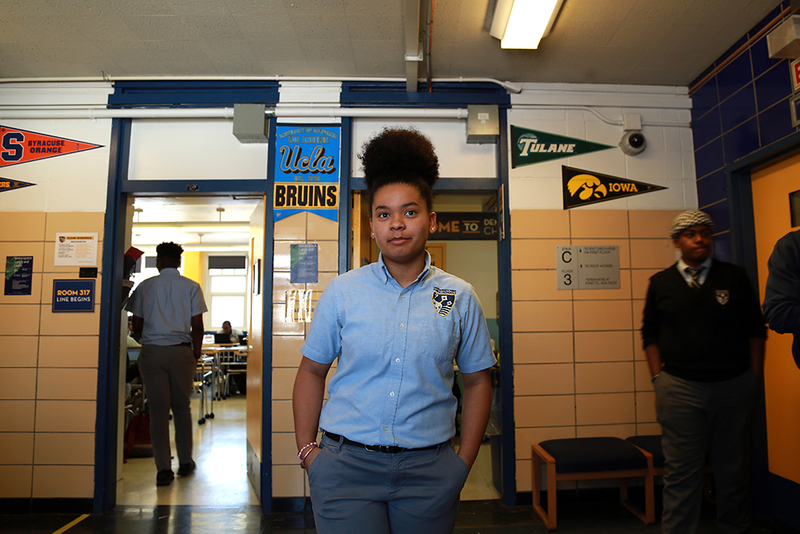 Unique among both charter and district schools, Democracy Prep’s institutional focus lies in preparing kids not just for the rigors of college, but also for the demands of citizenship. Through an emphasis on government and social change, as well as a heavy dose of extracurricular civic involvement, the schools seek to transform K-12 students into future voters, volunteers and activists. In short, adults who could — and might see it as their duty to — change the world. Measured by traditional metrics of school quality, the results have been striking. Extensive research released between 2012 and 2015 showed that students at Democracy Prep’s New York schools achieved significant gains in math and literacy comparable to those of students at other high-performing charters. But the schools’ most touted impact has been felt on an entirely non-academic outcome: political participation. Last spring, the research group Mathematica released a study finding that attending Democracy Prep made students significantly more likely to vote. At a time when polling shows that most adults can’t name the three branches of government, the study provided hopeful evidence that schools have a role to play in shaping better citizens. Particularly impressive is the fact that Democracy Prep’s exclusively young (its oldest graduates are still in their early 20s) and predominantly minority and low-income student demographic is generally the least likely to participate in elections. The Democracy Prep study offered a ray of hope in an era rife with disheartening news about the fragility of democracy. Americans’ demonstrated ignorance of their political leaders and founding documents is already well-known. Their trust, both in their institutions and in one another, is in free fall. Particularly since President Donald Trump’s election, partisan polarization has grown from a peculiar infirmity of Washington to a cantankerous lifestyle practiced across most of the country. Already low, participation in America’s huge network of voluntary organizations, from Rotary Clubs to the Boy Scouts, has entered a stage of potentially terminal decline. While policymakers turn to civics education as a cure for democracy’s ills, Democracy Prep offers a singular model of a school that places civics knowledge and public activism at the core of its educational mission. Though it hasn’t won the same notoriety as other “no excuses” schools, Democracy Prep has enjoyed a decade of impressive results and widespread praise within the education reform community. With the aid of $21.8 million in grants from the U.S. Department of Education, it launched a nationwide expansion that increased its enrollment fifty-fold since its opening in 2006. 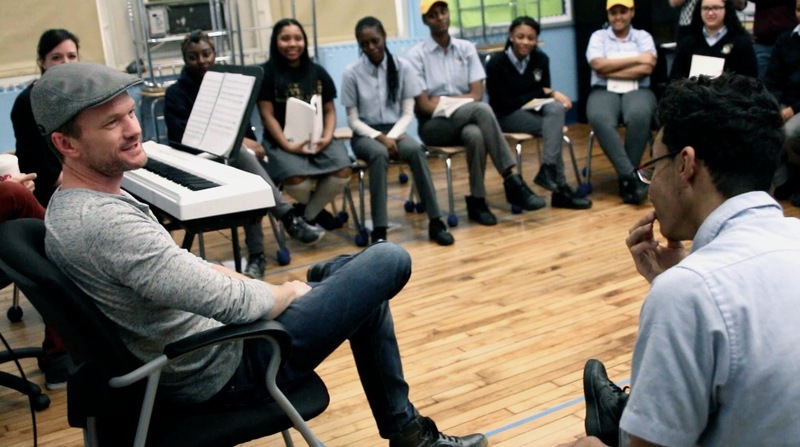 It now educates 6,500 students in New York, New Jersey, Louisiana, Texas, and Nevada. But the halcyon era may be dimming. Democracy Prep experienced its first major failure in Washington, D.C., where it posted four years of dismal performance before pulling up stakes ahead of an imminent school closure. Newly opened schools in San Antonio and Las Vegas have had to fend off fierce pushback from teachers unions and angry families. And this year, financial shortfalls led to network-wide austerity measures to restore fiscal balance. The setbacks raise tough questions about whether the network can replicate its heralded approach to civics instruction outside of New York. Even as the organization he founded works to regain its footing, Andrew — who left Democracy Prep in 2013 but retains an informal advisory role — warns of the need to initiate more students into the responsibilities of democratic thought and action. The consequences of ignorance, he argues, could be dire. Andrew is not alone in his doubts — a fretful chorus of academics and lawmakers has spent the past few years pointing to the darkening state of our political culture. Some of the blame has been laid at the feet of K-12 schools. Like Andrew, many consider civics education the raison d’être of public schooling, a core responsibility that has been discarded as our national focus drifted to preparation for higher education and the workforce. Particularly in the wake of federal education laws like No Child Left Behind, they argue, precious instructional time has been siphoned from social studies and devoted to more frequently tested core subjects like English and math. The final proving ground is high school, where every senior receives two year-long courses of civics content — one explicitly focusing on American democracy, the other covering sociology and economics. The civics push culminates in capstone assignments, known as Change the World projects, aimed at rectifying community problems that students identify. Samantha Hernandez, a senior at Democracy Prep Charter High School in Harlem, is focusing her project on the hygienic needs of women living on the streets. Samantha lives in Soundview, a working-class corner of the Bronx hemmed in and crisscrossed by highways. The neighborhood is eclectic but accomplished: Its three most famous residents, hip hop pioneers KRS-One and Afrika Bambaataa and Supreme Court Justice Sonia Sotomayor, all rub shoulders on a recently completed mural. Sotomayor has written fondly of her outer borough childhood, and the public housing complex where she grew up was renamed for her in 2010. But the Catholic school she attended, which she credits for providing the rigor and discipline that led to her successes later in life, was one of many shuttered across New York in the past few years. Samantha had to petition her mother to let her transfer to Democracy Prep when she felt herself stagnating at her locally zoned district school. That choice has led to three years of hour-long subway rides to and from Harlem. But she says the commutes are worth it because Democracy Prep leads her to perceive the world differently. Though she’s mulling over the big questions, Samantha has chosen to act locally. She regularly sees homeless women in her neighborhood but only recently wondered how they access the sanitary products most of society takes for granted. Though she hadn’t yet settled on a means of raising funds, she had identified and contacted two nonprofits — the nationally active PERIOD, and the New York City-based Care for the Homeless — that she was hoping to partner with in distributing tampons, pads and condoms to needy women. Over the years, students across the network have designed and completed hundreds of Change the World projects, spanning countless subjects. Democracy Prep scholars have addressed mental health awareness, gentrification, the achievement gap, early education and gender stereotypes in dance, just to name a few. One organized a march through Harlem to protest police brutality. Another traveled to the Dominican Republic to distribute supplies to rural schools. Though the network has only recently won acclaim for its impact on alumni voting, it has a track record of achieving academic success in New York, sometimes in adverse circumstances. Temple University professor Sarah Cordes and NYU professor Sean Corcoran conducted a study on student achievement gains at the fast-growing network. The results, published in a 2015 paper, were quite strong. The analysis found evidence of significant test score growth in English and especially math, even as Democracy Prep’s enrollment increased by a factor of 20. That timing was especially noteworthy because high-performing charter schools have not always been able to replicate their strong results at scale. To complicate matters further, the network took over a failing charter for the first time in 2011. The school, Harlem Day, was one of New York’s oldest charters. Despite years of close attention and generous donations, it had persistently underperformed for over a decade and was at risk of closure when Democracy Prep took the reins. Future CEO Katie Duffy, then the organization’s chief of staff, led the transition — the first instance in New York of one charter operator taking over from another that had failed. Scaling up can be a complicated endeavor, but school turnarounds have been one of the toughest roads in education. The task of replacing staff and instituting a new school culture, all while communicating constantly with families about ongoing changes, has proved so challenging that some experts believe it shouldn’t even be attempted. “A lot of the successful CMOs are not in the business of converting schools or turning around traditional schools, but Democracy Prep stepped in in a couple of cases,” said Corcoran. The school, now called Harlem Prep Charter School, serves grades K-12 and performs well by New York City’s metrics of school quality and safety. 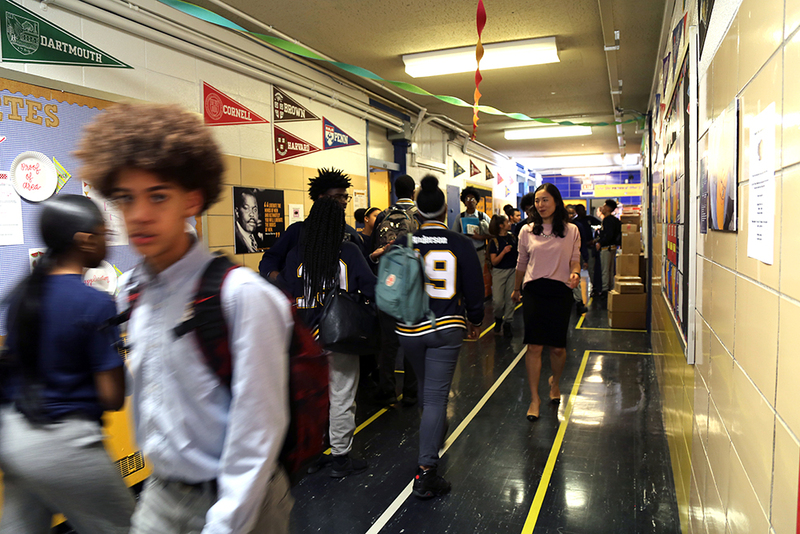 Its performance hasn’t hit the highs of the original Democracy Prep middle school, which gained a reputation for top academic marks and crowded admission lottery nights within a few years of its founding, but it’s a far cry from the scuffling that nearly shuttered Harlem Day permanently. According to Cordes, Democracy Prep’s success in leading that turnaround was especially impressive. But it was in the area of civics where the research proved most extraordinary. In the first-ever study of an individual school network’s impact on democratic outcomes, Mathematica recently conducted a randomized controlled trial — considered the gold standard of research — to examine the impact of Democracy Prep’s methods on voting, the most obvious means of civic participation. The experiment showed that attending Democracy Prep made students 16 percentage points more likely to be registered to vote and 12 percentage points more likely to vote in the 2016 U.S. presidential election. One of the Mathematica study’s authors, Emilyn Whitesell, said that Democracy Prep’s results compared favorably to other interventions designed to boost voter turnout, such as same-day voter registration and text message reminders. She called the network a “proof point” demonstrating that public schools can produce more engaged citizens. But in its first year, such accolades seemed far off. In 2006, the year the first Democracy Prep middle school opened, Seth Andrew was a 28-year-old leader with an appealing pitch and big plans. He had surprised himself by hiring a full staff, locating a suitable facility and signing up about 130 students to make up the inaugural sixth-grade class. He’d also recruited an accomplished board of directors, including Noah Millman, who worked in financial derivatives at a Wall Street bank, and Robert North, a pediatric dentist and respected figure in New York philanthropy. Bringing the students aboard was a particular thrill. In retrospect, Andrew said, it “blew [my] mind” that parents were willing to opt for his unproven school over their locally zoned option. But it wasn’t long before Andrew became frustrated with operations issues that weren’t being attended to. Classrooms and copiers weren’t ready for the first week of classes in August, and expense reports began to fall behind. Millman said Andrew reminded him of young entrepreneurs he’d encountered in the business world: intensely dedicated and hard on his employees — and on himself. At the end of the year, a significant number of employees resigned. The board voted to remove Andrew as Democracy Prep’s executive director and replace him with North. As the interim executive director, his first move was to hire Andrew back to serve as principal while North oversaw operational and financial responsibilities. Millman, who took over as board chair after the shakeup, strongly supported reappointing Andrew but said the removal had been warranted. North began with an accounting of where things had gone wrong the previous year. In short order, he concluded that the financial and operations teams hadn’t served Andrew well. The finances were “upside down”: Copies of invoices were stored haphazardly. The school kept receiving bills for a student trip to Washington that was supposed to be entirely free. A deal for portable air conditioners ended up costing far more than the machines were worth. The network’s then-finance director, Peter Croncota, declined to comment for this article. Though the process was trying, the school emerged for the better in its second year, with North returning to the board and Andrew resuming his role as head of school. North, who still chairs the board overseeing all Democracy Prep schools in New York, said it was easy to see that despite the difficulties he’d faced, Andrew was a “capable” leader who had succeeded in instilling a strong school culture. “I thought he was running a great school,” North added. But the effect was a “deep trauma” for Andrew, whose personal story is imprinted into many facets of Democracy Prep’s identity. He’d been carrying around the idea for a school for nearly a decade by that time; his fascination with civics education dated back even earlier — to his own school years, when he served as a congressional page in Washington. The now-defunct House page program shuttled a few dozen promising students (Andrew was sponsored by a longtimer, Rep. Charlie Rangel, a Harlem Democrat who represented the area where several Democracy Prep schools are now located) to the nation’s capital each semester to learn the ins and outs of U.S. politics as gofers for members of the House of Representatives. In the mornings, Andrew absorbed a civics-heavy curriculum in a classroom at the Library of Congress. Later in the day, he would operate telephones in the party cloakrooms and carry messages from the floor of the House to various members’ offices. Before it was discontinued in 2011, the program was a one-of-a-kind apprenticeship in American government, with alumni ranging from Bill Gates to the recently deceased Rep. John Dingell, a giant of the House who served for 59 years as a Democratic congressman from Michigan. For Andrew, though, his junior year in Washington was something more than a nerd’s holiday: It was a sorely needed respite from the New York City public schools he attended in the 1980s and ’90s, where he said he was violently bullied so often that he once pressed criminal charges against an assailant. As one of only a few white students at his elementary and middle schools — and a bookish one, at that — he now says it was instructive to have experienced K-12 education in an urban school among mostly minority classmates; he believes that too few of his fellow education reformers have shared that perspective. Even as a high schooler, having won a coveted spot at the Bronx High School of Science, he didn’t feel engaged in his coursework. So when given the option to stay on as a page for a few extra months in the fall of 1994 — Republicans had unexpectedly gained a House majority for the first time in 40 years — he leaped at the chance. The bug went with him to Brown University, where he had an unusual opportunity to influence public policy as an undergraduate. Working with the Rhode Island Secretary of State’s office, Andrew co-authored a contentious report alleging that the legislature had committed massive violations of the state’s open meetings laws. It was his first taste of notoriety, and Andrew decided to seek out more. Rhode Island passed legislation allowing for the creation of charter schools in 1995, but only one had been formed by 1998. Andrew felt state lawmakers were too slow to exploit the new model’s possibilities. Before long, he was challenging his district’s incumbent state representative in the Democratic primary. He had just finished his sophomore year in college. The campaign was a long shot. Andrew was an unknown, barely out of his teens, and his natural pool of volunteers and potential voters — fellow college students — were mostly away while he was campaigning over the summer. But the biggest problem went deeper than that. When the fresh-faced candidate was on the campaign trail, he was confronted with a pervasive ignorance of government. Particularly in low-income areas of Providence, he said, he would have to explain that he wasn’t running to clean up Congress or the notoriously graft-ridden City Hall. It seemed many voters had concluded that the vagaries of state politics weren’t material to their lives. Andrew put up a game effort but lost the primary by 79 votes. After the defeat, he was convinced that civic education needed to start sooner than election season. As a junior, he switched his major to education and began writing his own charter school application. By 2009, as its first class of students prepared to graduate from eighth grade, Democracy Prep was being feted as a stellar performer in one of America’s most saturated charter school sectors. It received top grades in its progress report from the New York City Department of Education and was soon being proclaimed the top middle school not just in Harlem, but the entire city. 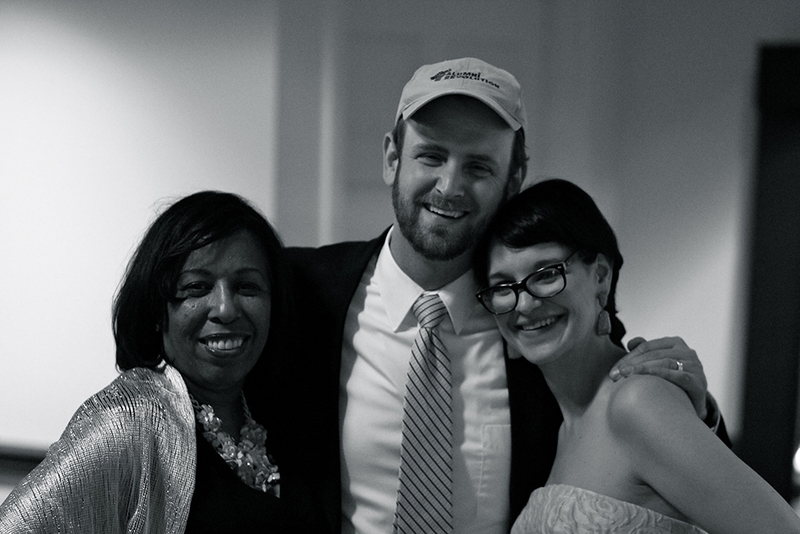 That fall, Andrew opened a high school to receive matriculating ninth-graders; Democracy Prep Charter High School produced its first class of graduates in 2013. It was the first of three new network schools to open in the span of four years. By 2013, one program with 130 students had grown to seven schools serving more than 2,000 children. That instinct was a good fit for the moment. Democracy Prep’s initial phase of growth within Harlem, from 2006 to 2012, coincided with a flowering of new charter schools throughout New York City. Success Academy, Uncommon Schools and Achievement First were all opening campuses across the five boroughs, with powerful friends in former New York Schools chancellor Joel Klein and then-Mayor Michael Bloomberg. At the same time, leaders of the nascent campaign for school choice understood that the salad days wouldn’t last forever. Bloomberg’s time in office would eventually end, and charter school foes — most prominently the city’s United Federations of Teachers — were waging a counterrevolution to deny charters space within district buildings, where they are often co-located against the wishes of incumbent schools. Basil Smikle, a Harlem-based political consultant, came across Democracy Prep while organizing charter school parents for the New York City Center for Charter School Excellence. In Andrew, he saw a young leader trying to educate students to become involved future citizens while drawing their families into a more immediate effort. For the young founder’s creation to succeed, he would have to graduate the leaders of tomorrow; but for it to survive, he would have to engage their parents as activists. 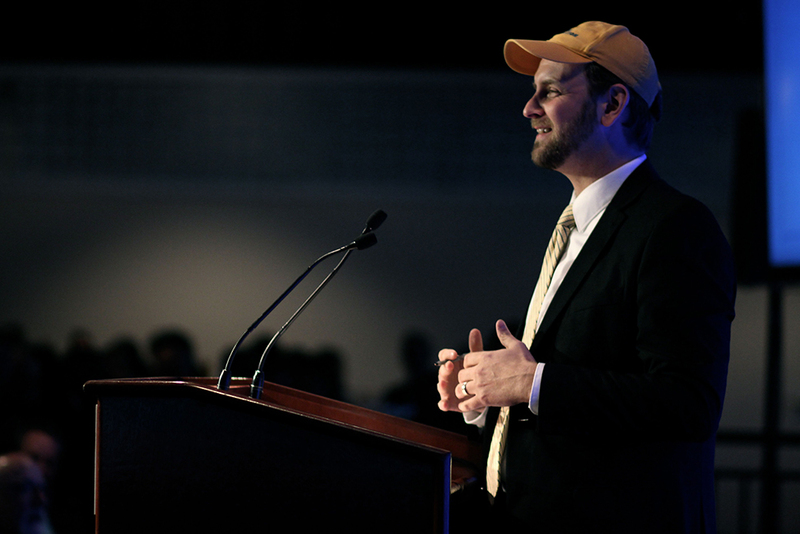 Smikle, who made an unsuccessful run against incumbent (and noted education reform skeptic) state Sen. Bill Perkins in 2010, chronicled the campaign to build a political force for charters in his Columbia Ph.D. dissertation. Andrew plays a significant role in the narrative, as does Democracy Builders, the advocacy group he built to fight for charters’ access to school funding and facilities. Andrew began, Smikle said, with parents at Democracy Prep. When Democracy Prep needed room to grow, Andrew found an option that anchored the school in Harlem’s history: Starting in 2008, he began leasing space from St. Philip’s Protestant Episcopal Church, home to a centuries-old black congregation that once counted Thurgood Marshall and Duke Ellington among its members. But the broader movement for school choice was mostly built through old-fashioned organizing. 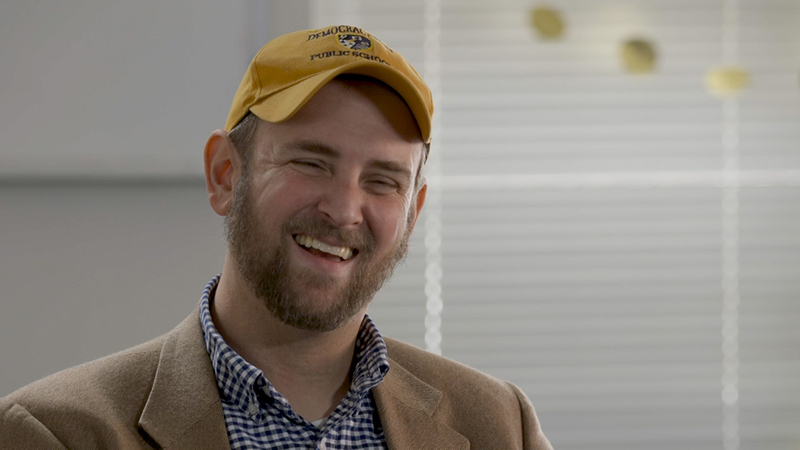 With Democracy Builders Executive Director Jeremiah Kittredge, Andrew reached out to charters across New York City to recruit parents, who were trained in political activism. According to a 2014 report from the conservative American Enterprise Institute, Democracy Builders counted 50,000 parents on its membership list, with 1,000 “very engaged parents” who could be counted on to lobby their representatives and show up to public meetings. One of those parents was Leda Nereida, a Brooklyn mother whose sons attended an Achievement First school. Identified early on as a powerful advocate for school choice, she was brought on part-time with Democracy Builders in the fall of 2010. In an interview, she said the organization provided extensive training in the kinds of organizing tactics necessary to propel a broad-based movement and effect political change. Though she wasn’t a Democracy Prep parent and said she rarely interacted with Andrew, the civics skills she was picking up were some of the same that the network fosters in its students. “We learned how to do all of it: how to set up elected official meetings, how to develop relationships with elected officials, how to do it at community-based organizations, how to do it with faith-based organizations. How to organize,” she said. As a leader of both a school and a movement, she said, Andrew was an indispensable figure. While Democracy Builders worked to hone the political muscles of an older generation, Democracy Prep was planting the seeds of civic engagement within the voters of the future. In the case of some of its older students, in fact, some of those seeds have already sprouted. Cheikh Fall, a senior at Charter High, voted for the first time last year. The process was much easier than he expected, just 20 minutes at a polling station after school. But he said it felt extra meaningful after all it took to reach that moment. 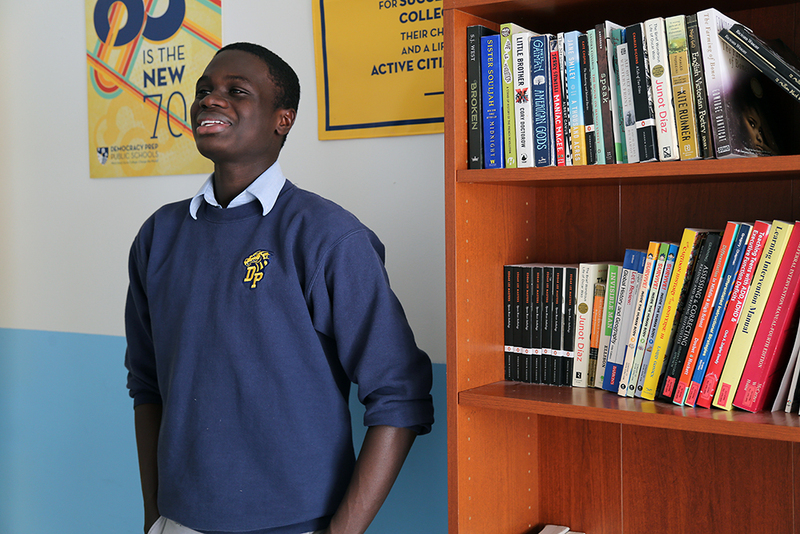 Cheikh started at Democracy Prep Harlem Middle School as a sixth-grader in 2012, having just emigrated from Senegal knowing almost no English. Even as he picked up a new language and adjusted to American culture, he was being sent out to canvass Harlem for potential voters to register. The repetition — he has participated in at least four get-out-the-vote drives — became a kind of “conditioning,” he told The 74. Students at all Democracy Prep high schools must satisfy a battery of civic requirements in order to graduate. In addition to completing a Change the World project, they take a yearlong seminar in American democracy, in which they discuss knotty issues like gerrymandering and the #MeToo movement. Every senior must pass the U.S. citizenship test and demonstrate competence in 10 civic skills, from lobbying politicians to canvassing for a social cause. These curricular choices prefigured a more recent national movement toward greater civic content — and assessment — in the classroom. Since 2014, nearly 20 states have adopted a requirement that high schoolers take a civics assessment as a graduation requirement, while a number of others have mandated additional coursework in government. Democracy Prep’s method has been described as a hybrid approach, pairing active community engagement with classroom lessons meant to inform it — and not just in the obvious subjects. Viviana Perez, Democracy Prep’s civics program director, works with staff in each of the network’s 21 schools to weave content throughout the wider curriculum. In literature classes, students might read from texts with pronounced historical and political themes, such as Elie Wiesel’s Night or Chinua Achebe’s Things Fall Apart. In math class, students sometimes calculate voter turnout statistics. Duffy, who became the network’s CEO after Andrew left in 2013, said that pushing kids to see themselves as vested actors in the broader democratic system is more important than imparting the kind of civics knowledge that would help them pass AP Government. Take, for instance, the number of voting members in the U.S. House of Representatives (435), a fact that is tested on the citizenship exam. In February, after initiating a series of cutbacks to address financial problems at the network, Democracy Prep announced that Duffy would be taking an extended medical leave; no return date has been scheduled. But in an interview conducted weeks before the announcement, she said that civics education should, above all else, impart to students a sense of ownership over their communities, their democracy and their lives.